This weekend saw the 2013 Trials of the DARPA Robotics Challenge. 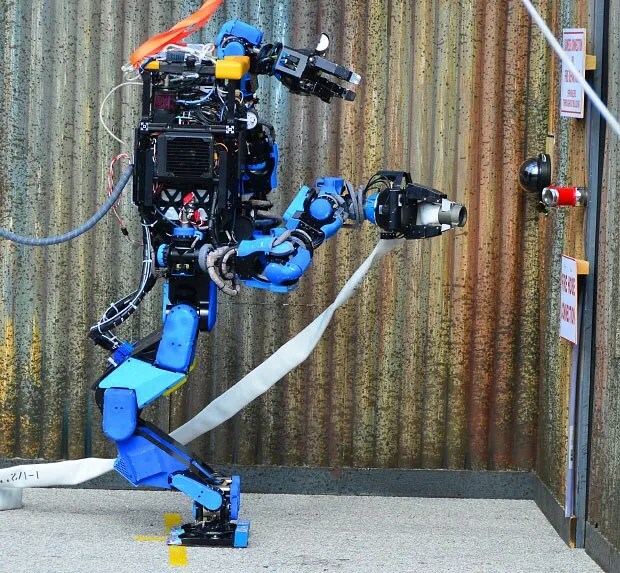 Sixteen robots gathered at the Homestead Miami Speedway in Florida to compete at eight different tasks, ranging from navigating rubble, to manipulating hoses and valves, to navigating various kinds of doors. 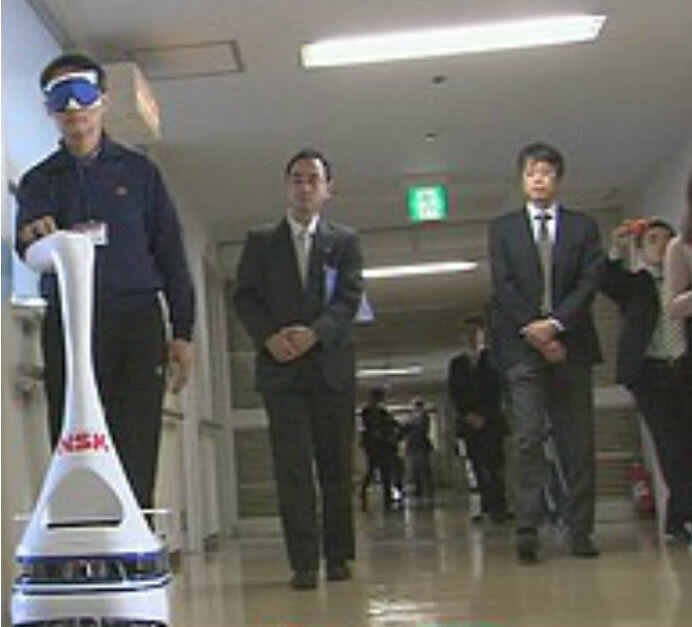 The dominant robot turned out to be the entry from SCHAFT Inc., a Japanese startup that was recently acquired by Google. Those new capacitor-powered, water-cooled actuators apparently served the robot well as it got the top score in four out of eight events (Terrain, Ladder, Debris, and Hose), and a total score of 27 (out of a possible 32) points. The second highest score of 20 points was attained by the Florida Institute for Human & Machine Cognition, using one of the Atlas robots made by Boston Dynamics (also recently acquired by Google). This robot was especially adept at the Door and Wall tasks. Commentators on the scene expressed surprise at how well the robots performed overall. The feeling is reminiscent of the second DARPA Grand Challenge, when suddenly autonomous cars no longer seemed the stuff of science fiction. We’re at the same point now with humanoid robotics — it surely won’t be long before Google (who seems to own all the top contenders) and others have full-sized humanoid robots that are actually useful, and we will look back on this weekend’s competition as the primary turning point. However, this is only the beginning. The top eight teams receive further funding from DARPA to refine their machines, and we can expect those, plus some privately-funded competitors, to return for the Robotics Finals in 2014, where one bot will walk into the pages history with a $2M prize. Place your bets — and for now, SCHAFT Inc. is certainly the robot to beat. BotScene.net is the Engineering Site of the Day today on EEWeb, an electrical engineering community site. The feature includes a nice blurb about us, and is sure to help spread the word about humanoid robotics. A new Japanese TV show, “Real Robot Battle,” launches next month. 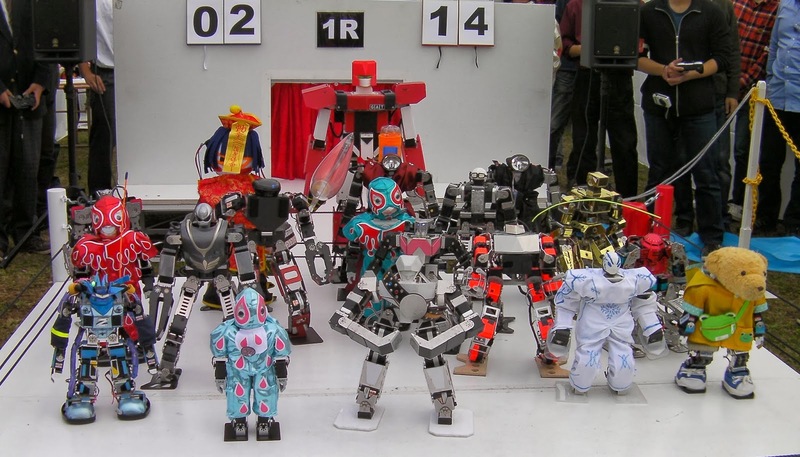 Eight two-meter tall robots will duke it out in a single-elimination tournament. One of the teams entering is the Maru family, famous for its King Kizer series of robots, which have been frequent champions in Robo-One and related tournaments. Until now, we’ve had only CG renderings and a few in-progress photos of the contestants being built. But the Maru clan has come through for us with a few videos of their nearly-complete robot being put through its paces. The 16th robot “pro wrestling” event known as Dekinnoka took place in Soka City, Japan on Sunday. This is an event that, just like real pro wrestling, puts more importance on entertaining the crown than on determining the best fighter. As you may expect from Japanese robot hobbyists, the attention to detail is impressive, right down to the theme music that plays as each contestant marches down the gangway into the ring. A dutiful referee robot starts and stops each match, and counts off how long any robot stays down. Yesterday I reported on the new line of low-cost, open-source products Robotis is preparing to appeal to new, casual, or budget-conscious humanoid robot hobbyists. These include the OpenCM-9.04 controller, the XL-320 servo, and an easy-to-use lithium-ion battery pack. What I failed to mention was, perhaps, the flagship product of the new entry-level line: the DARWIN-mini humanoid robot. Standing roughly half the height of the famous DARwIn-OP robot, and probably using the new XL-320 servos, the new humanoid is expected to be substantially cheaper than its full-size brethren. But how well does it move? You can judge for yourself in this video, captured this week by Lem Fugitt at RobotWorld 2013, where several DARWIN-minis get down, Gangnam style.